Juvenile Delinquent or Warrior Prophet? 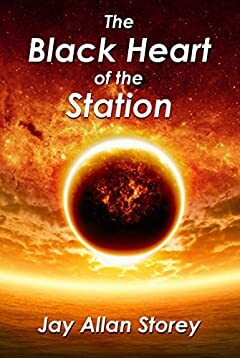 Whichever one teenager Josh Driscoll is, he may be the Station's only hope for survival. The Station is a city buried one kilometer beneath the surface of a frozen, lifeless earth, its origins lost in the mists of time. Josh's frequent rule-breaking exploits are focused on a single question - how did we get here, and where are we going? But Josh goes too far when he steals a space-suit and travels to the surface to explore. As punishment, the governing Council forcibly enrolls him as a novice monk at Saint Carmine's, the Station's resident monastery. At first desperate to escape, Josh is drawn into the monastery's ancient texts. Deciphering a encrypted journal hidden for centuries, Josh learns that a computer complex believed critically damaged in an ancient asteroid strike holds the answers he's been seeking, and is all that can save the Station from annihilation. When the deranged head of the Council is determined to obliterate the complex and doom them all, Josh leads a desperate battle to stop him. But can Josh and his tiny band of followers prevail in time to avert catastrophe? Pick up this unforgettable fusion of mystery, adventure, and coming-of-age, because it will keep you riveted to the page.